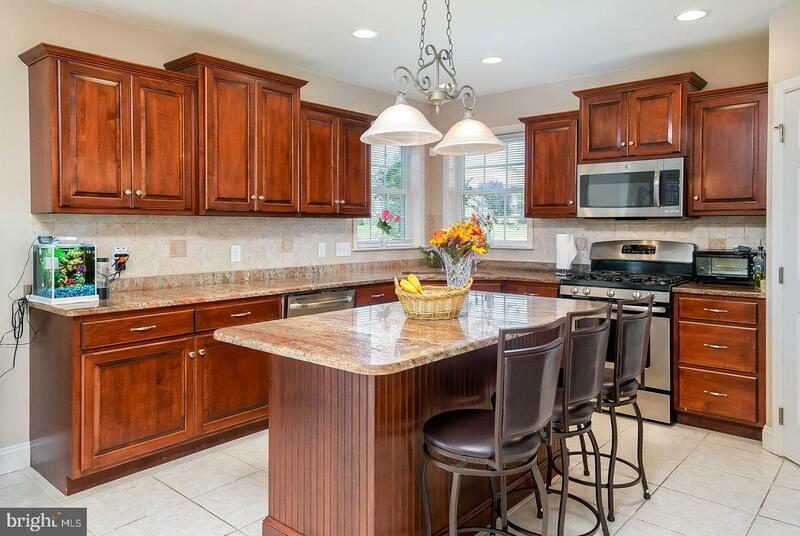 Elegance is waiting for you in this highly desired community of Green Valley Estates located in the Wilson School District. 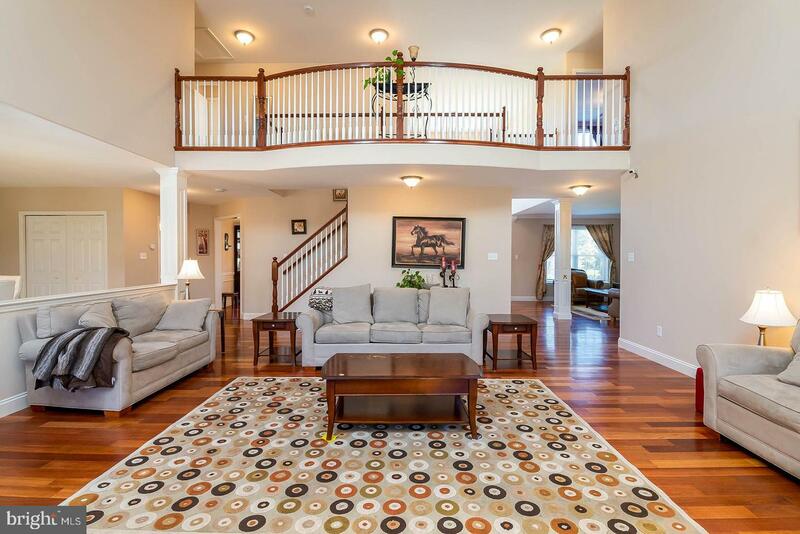 Built by Grande Construction in 2012, this amazing home offers all the finest amenities including open floor plan, dramatic vaulted ceilings, custom trim package, hardwood and tile flooring, 9 foot ceilings and custom kitchen cabinetry accented with granite counter tops. 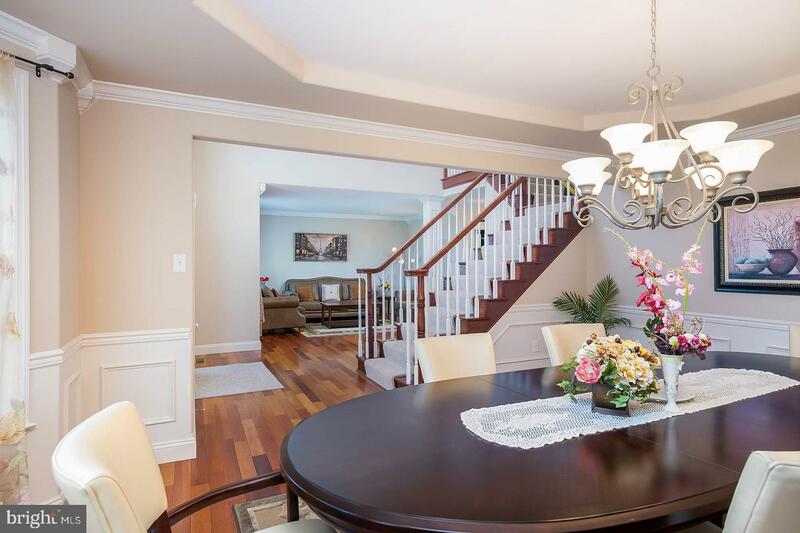 Upon entering the home you are greeted by the 2 story open foyer with hardwood flooring and open staircase. 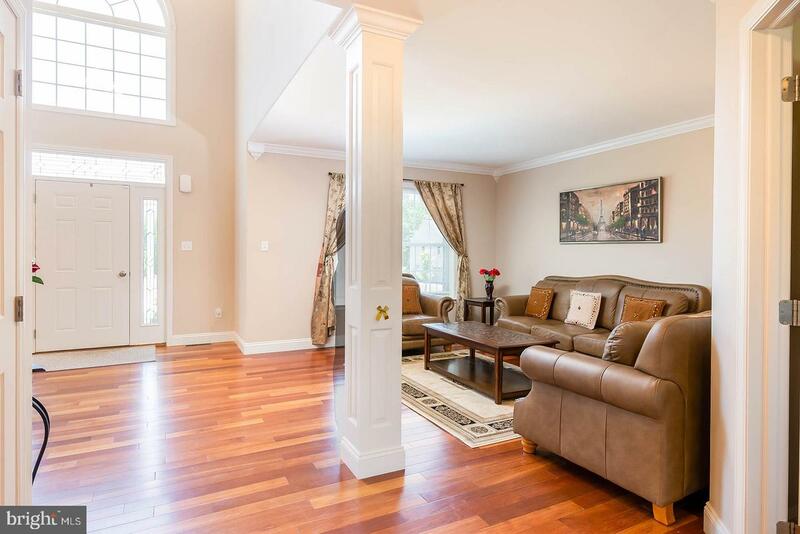 To either side of the foyer you will find the living room and formal dining room accented with hardwood flooring and custom accent moldings. 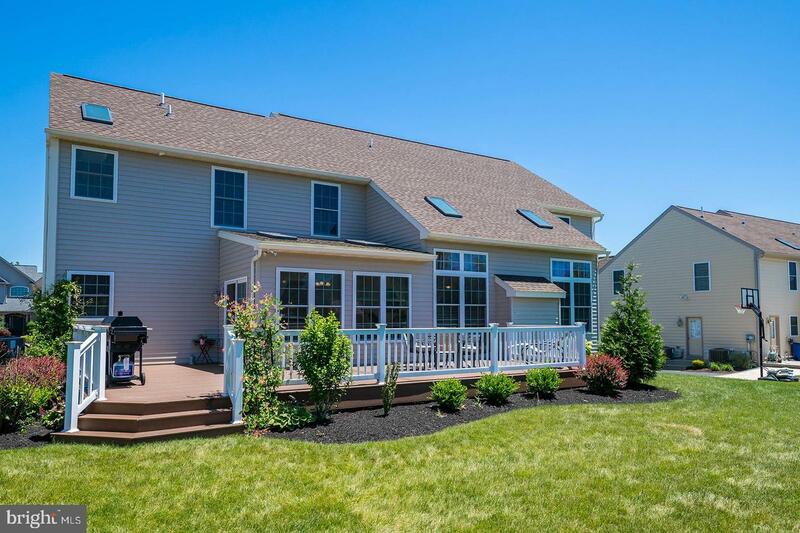 To the rear of the home is the expansive family with gas fireplace, vaulted ceiling, Velox skylights, accent lighting and bowed overlook railing from the second level. 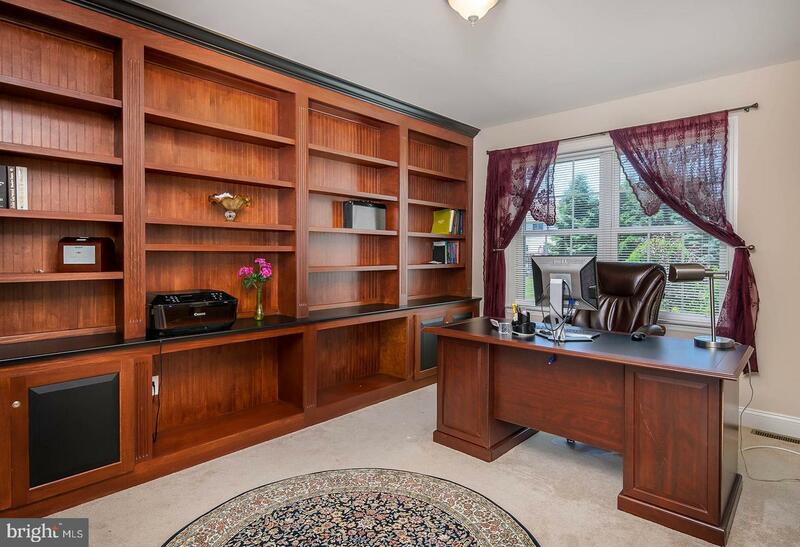 The home office/study is located off to the side of the family room and includes professionally installed custom book shelves. 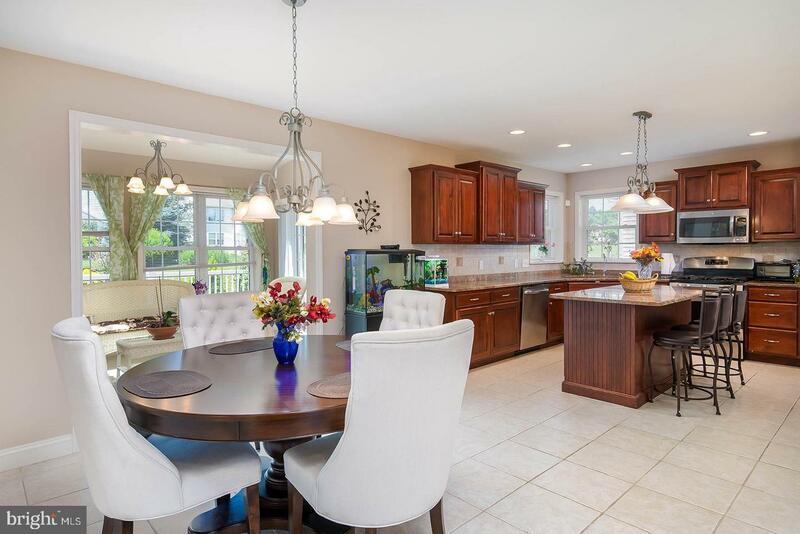 The chefs sized kitchen and breakfast area includes large center work station island with overhang for seating, granite counter tops, tile backsplash, corner pantry, stainless steel appliances and the adjacent breakfast area. 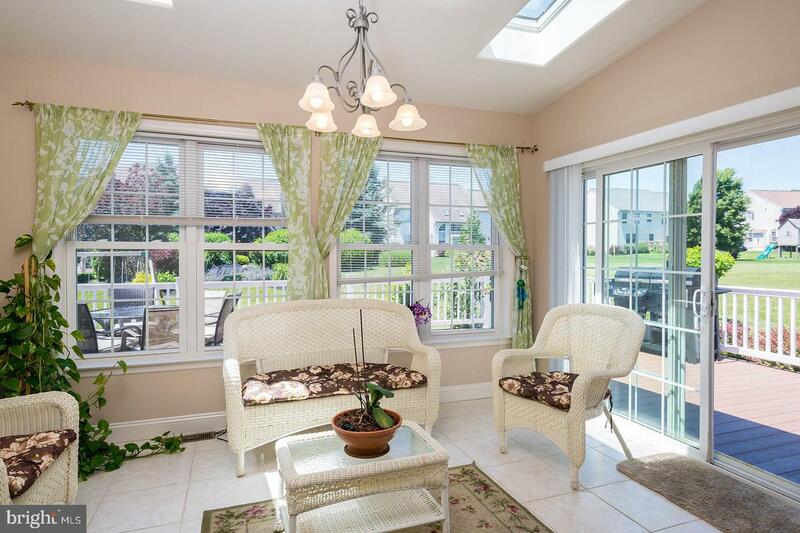 Off the breakfast room is where you find the cozy sunroom with south west exposure offering plenty of natural lighting. 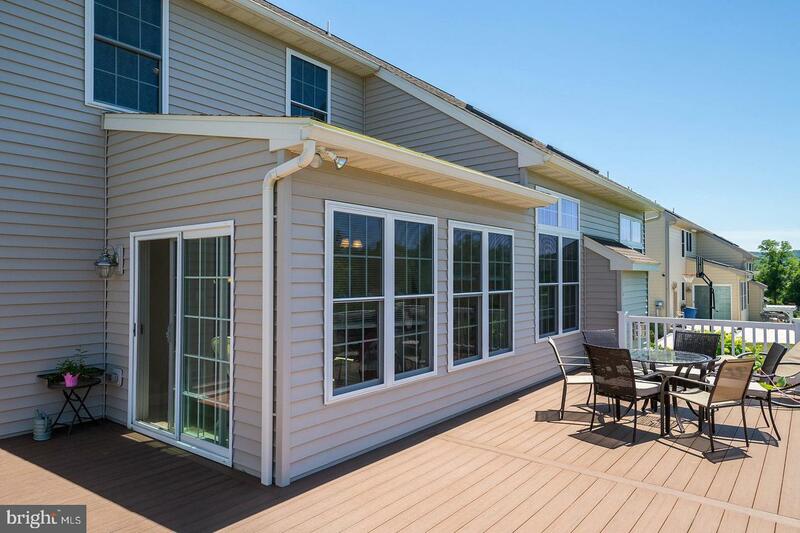 Sliders from the sunroom lead to the large wrap around maintenance free Trex deck with vinyl railing overlooking private back yard. 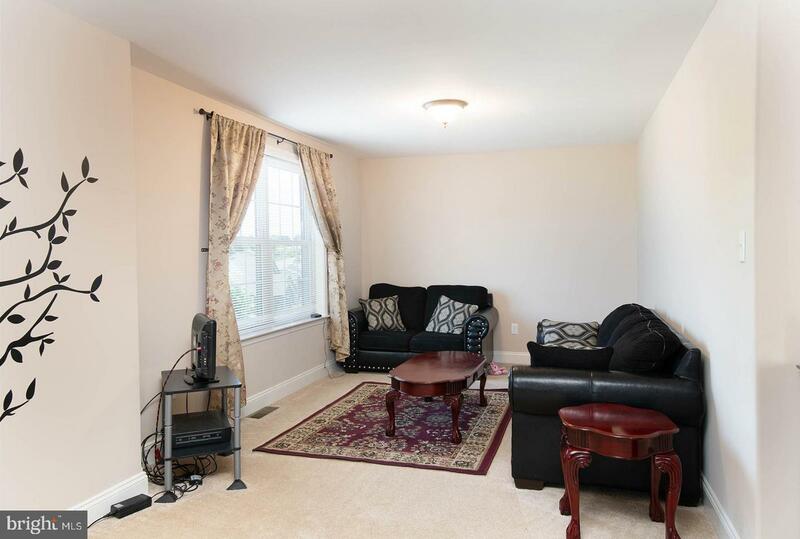 The laundry room is conveniently located on the mail level. 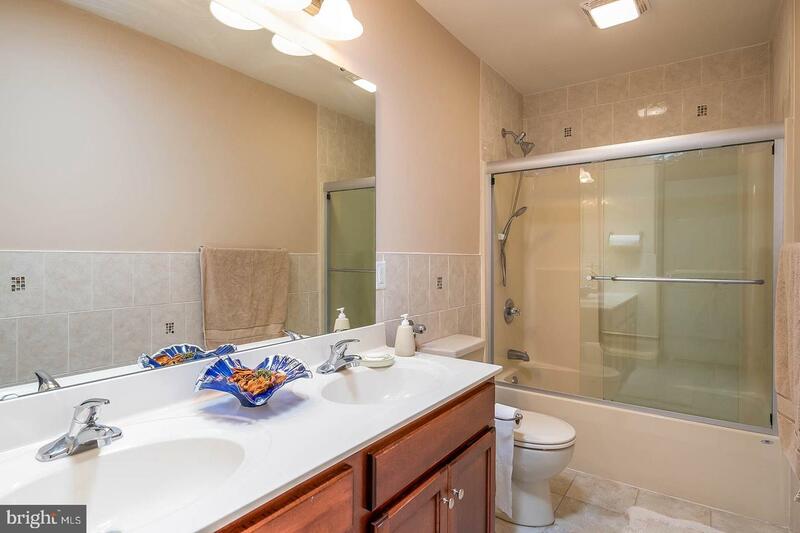 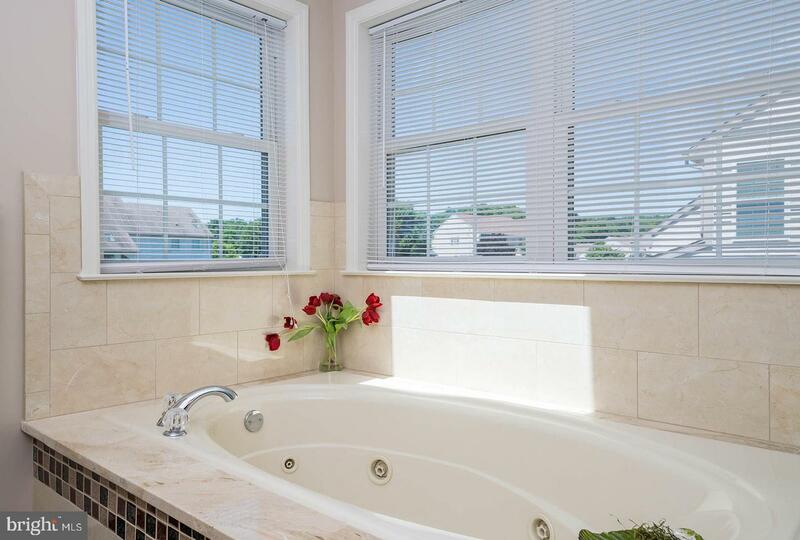 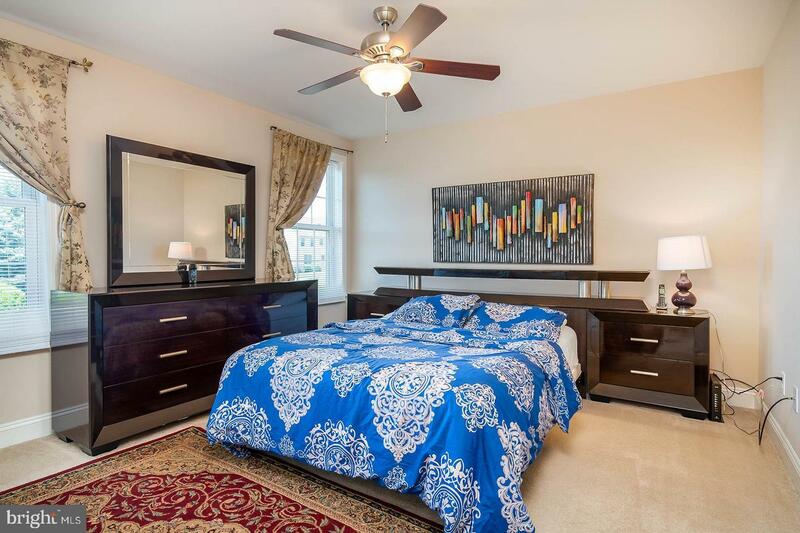 The 2nd floor consists of the spacious master suite accented with custom bath featuring marble floors, tiled shower with glass enclosure and shower guard and tiled soaking tub area. 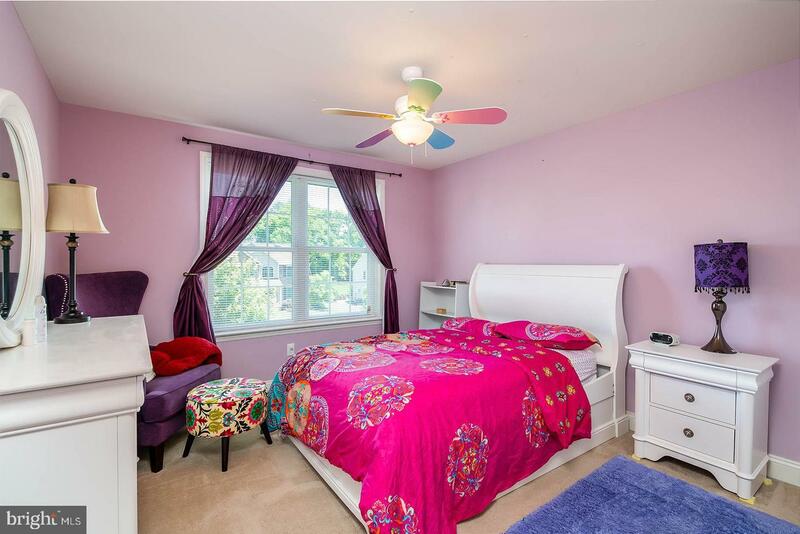 There is also a large walk-in closet and useful sitting area in the master bedroom. 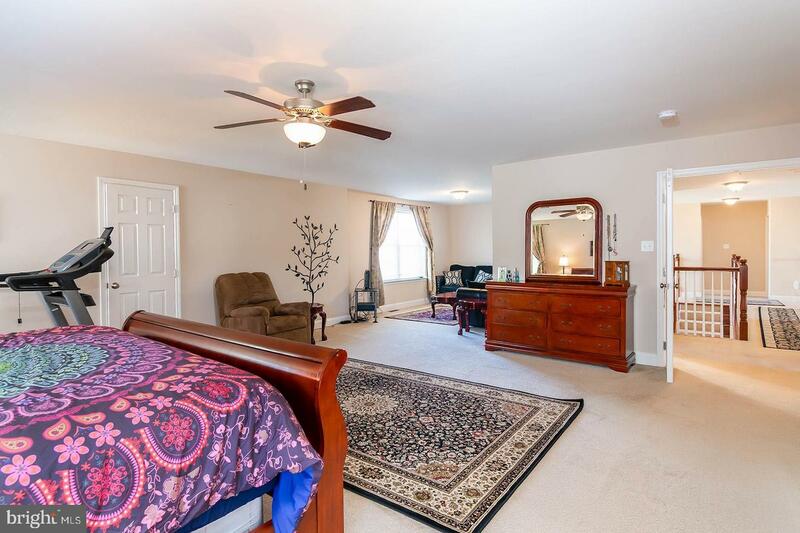 The 3 remaining bedrooms are all nicely sized with lots of closet storage. 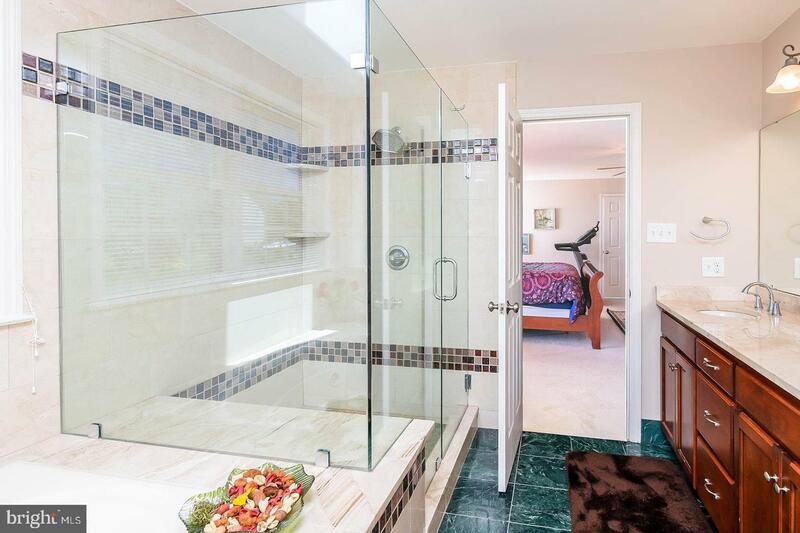 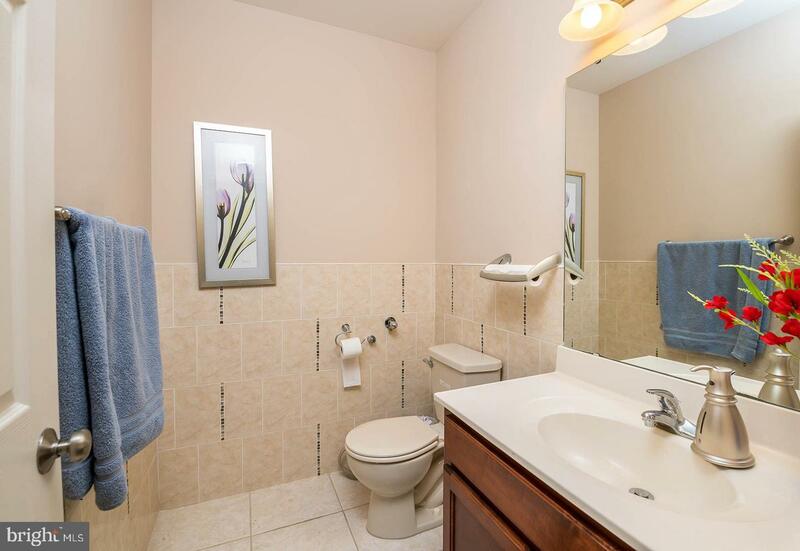 The hall bath includes tile flooring, linen closet and glass shower door. 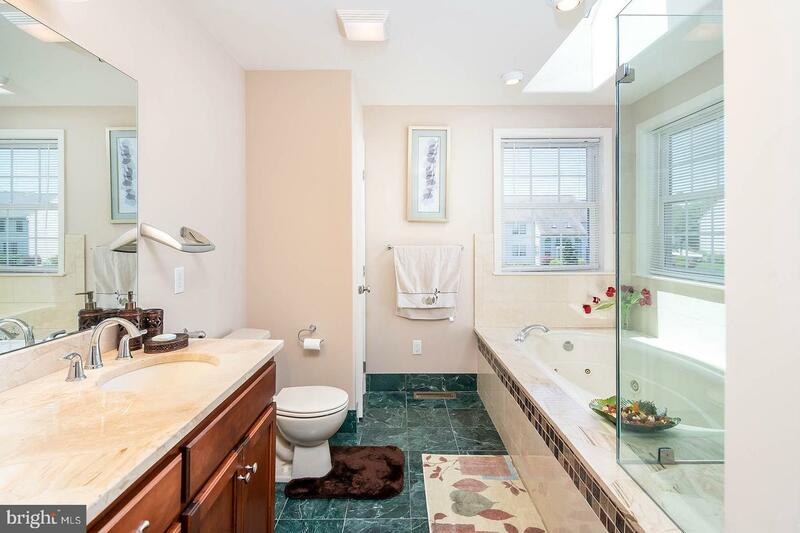 The basement offers countless opportunities and includes an egress door to the exterior. 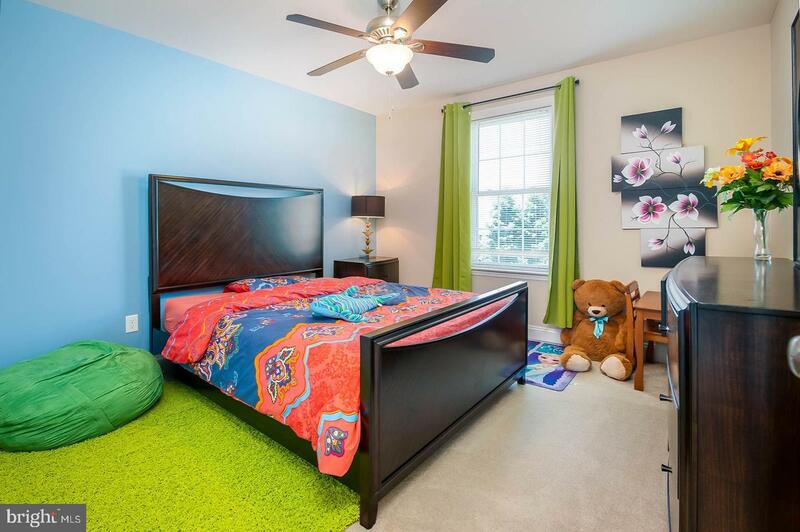 The HVAC system includes a Hi-efficient gas forced air heat and central air system with attached whole home humidifier. 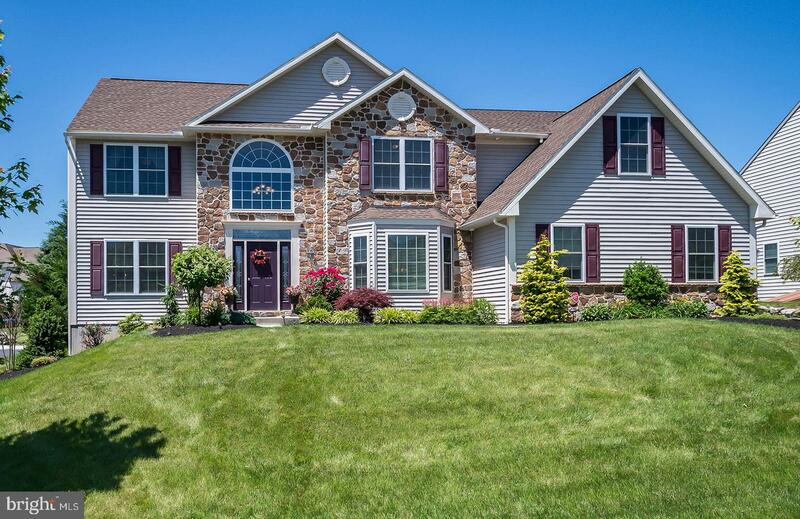 This home also includes security system and water treatment system. 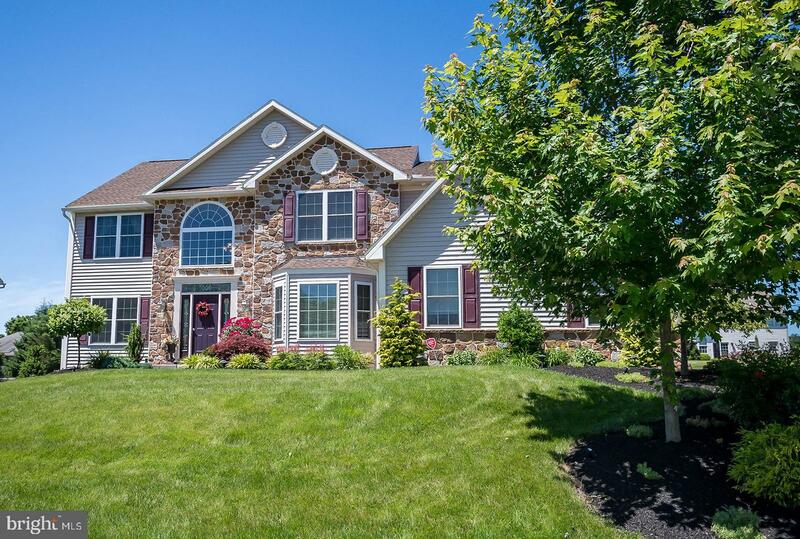 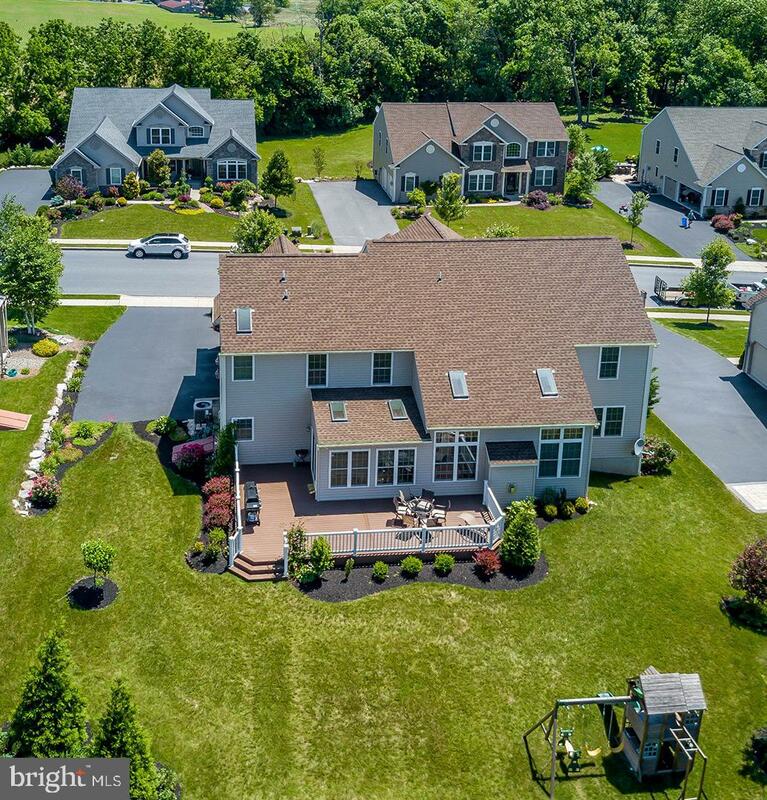 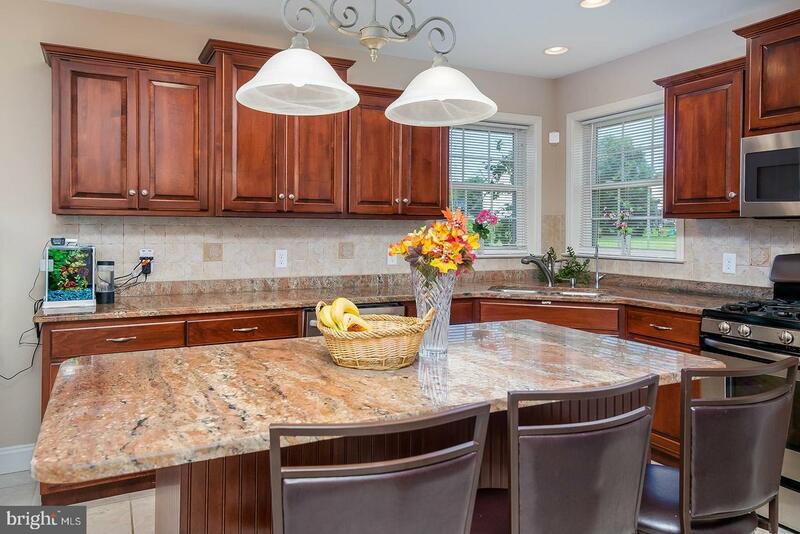 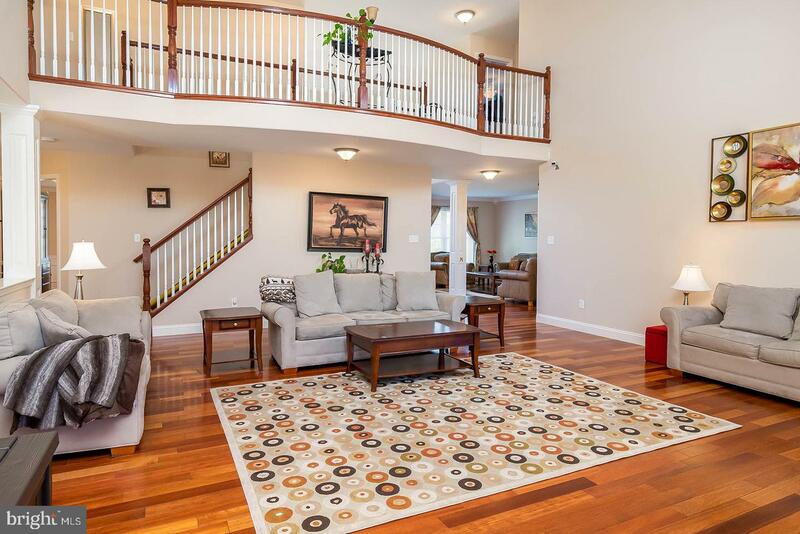 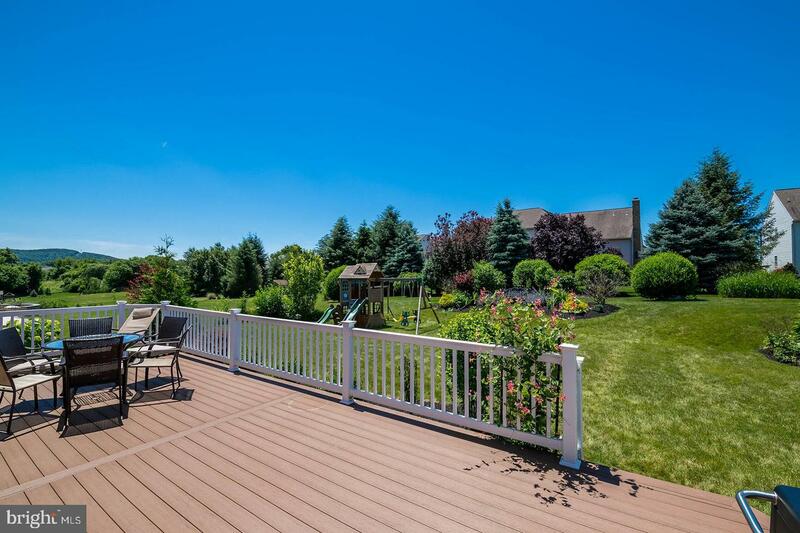 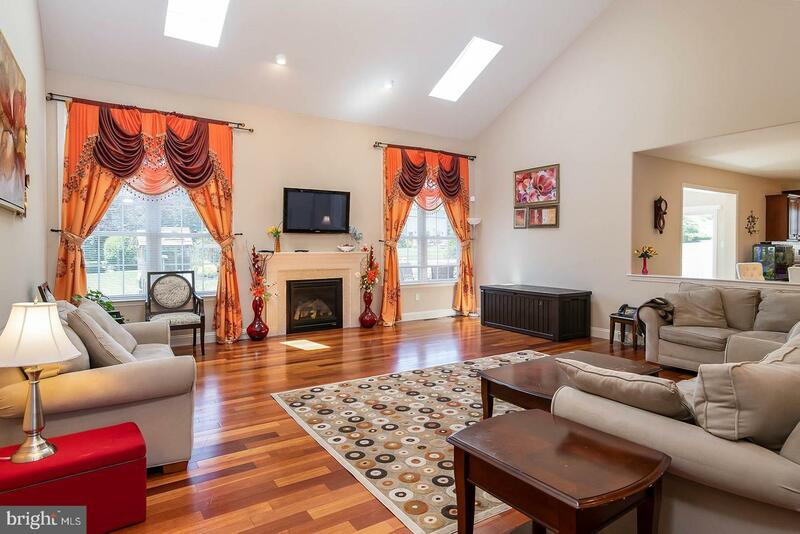 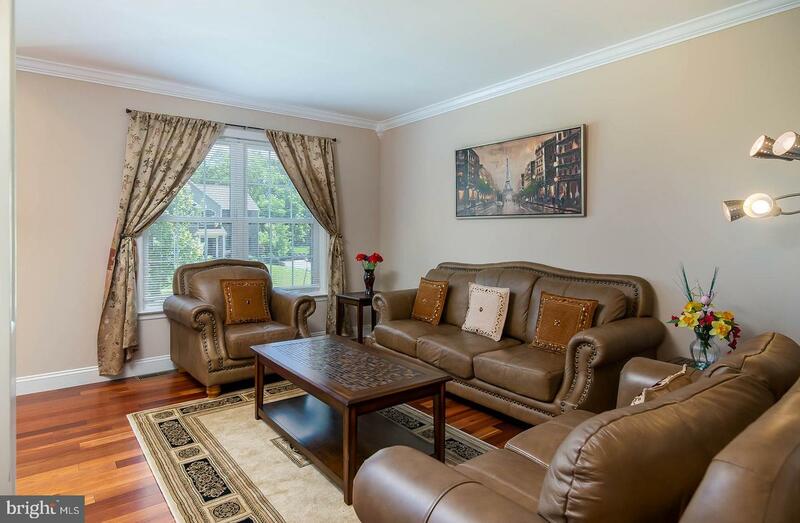 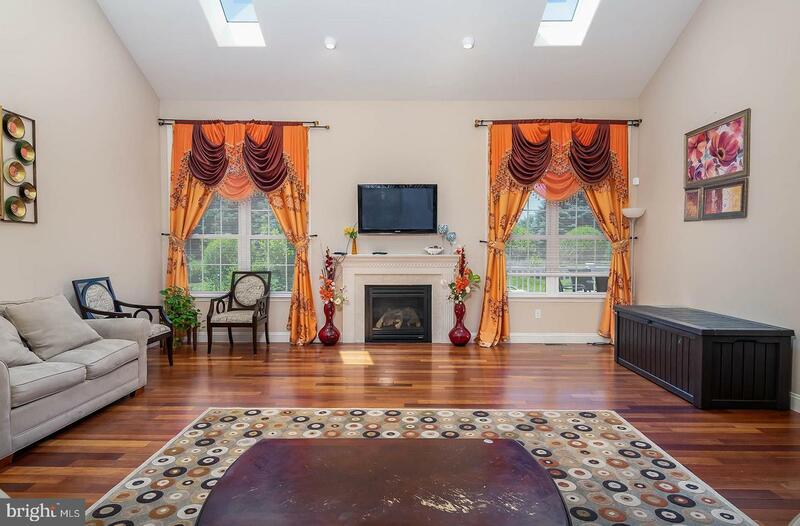 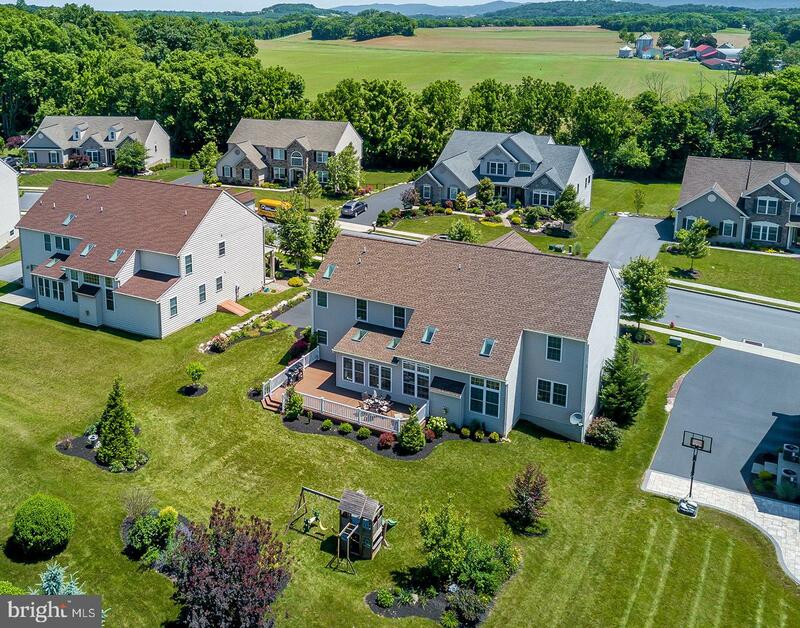 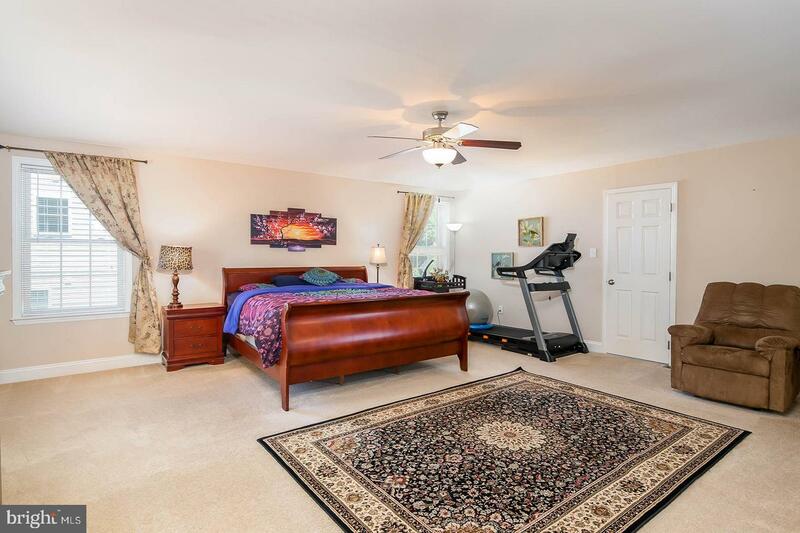 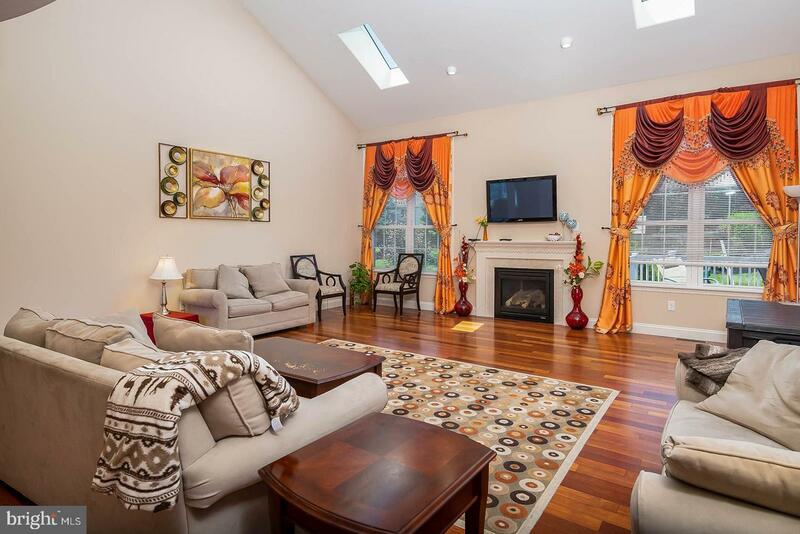 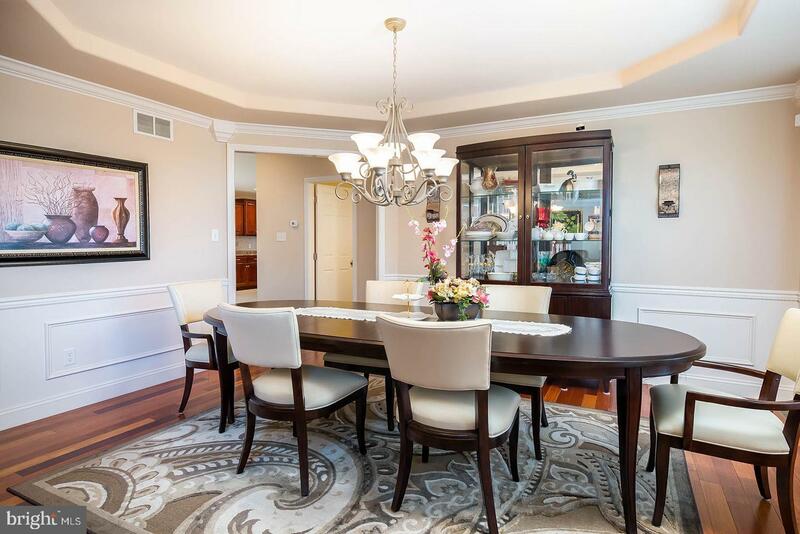 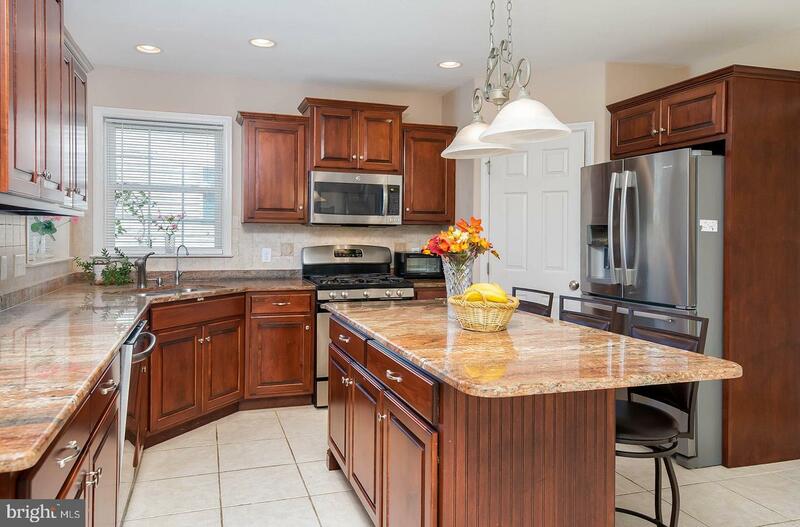 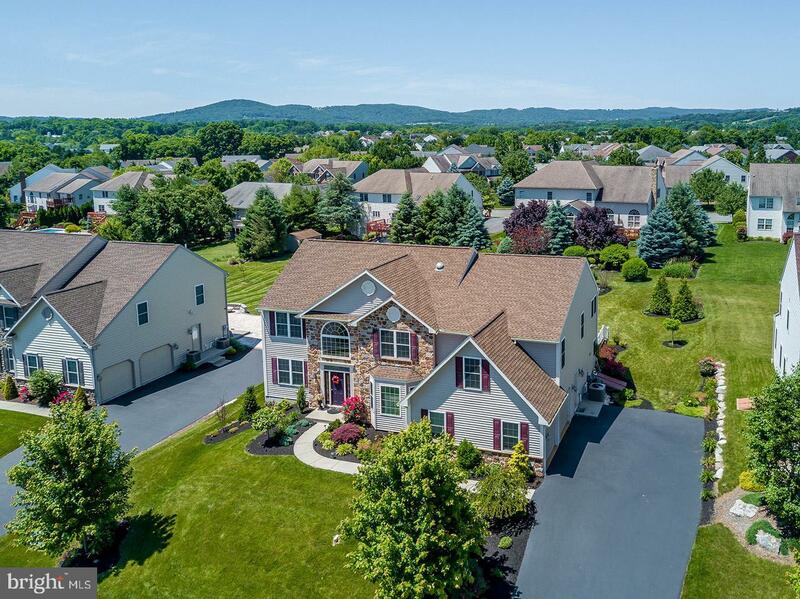 Ideally located, this immaculate home is sure to please.